George H Browne Robert Frost Collection; Michael J Spinelli Jr. Centre for University Archives and Special Collections; Herbert H Lamson Library, Plymouth State University. 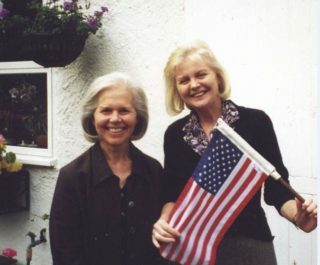 Jean Jackson (left) and Kari Dorme (right). 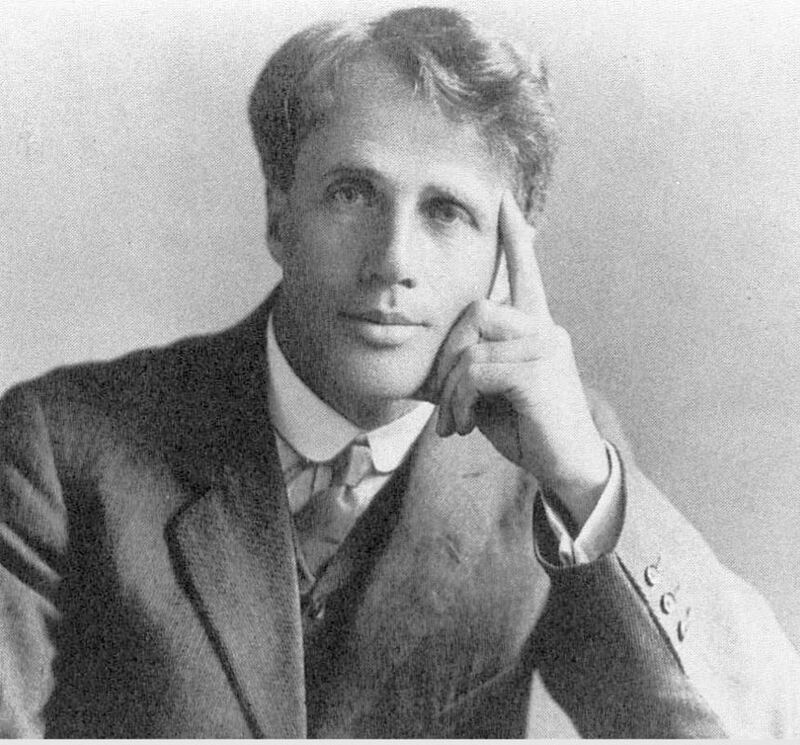 Did you know that Robert Frost, one of America’s greatest poets, lived in Beaconsfield? 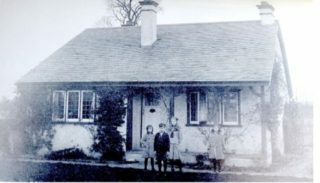 It was in the beginning of September 1912 that he came with his wife Elinor and their four young children and rented a cottage at number 26 Reynolds Road. The Bungalow, as it was called, no longer exists but a plaque now marks the spot where it stood thanks to local residents Jean Jackson and Kari Dorme, who led a campaign in 2001 for Frost’s connection with Beaconsfield to be acknowledged. It was here that Frost enjoyed his literary breakthrough. He had his first book of poems published while living in Beaconsfield even before he was published and recognized in America. These poems include Mending Wall, After Apple Picking, Birches and Home Burial. These are four of the best-known poems in American Literature, not forgetting “The Road not taken “ which is hugely popular. Frost loved walking in the area and derived much inspiration from the Chilterns. It was a happy time for them and the whole family used to go out for picnics together. They visited many of the surrounding towns; High Wycombe, Tylers Green and Gerrards Cross are all mentioned in their letters. In fact they even acquired some furniture in High Wycombe and Frost had his portrait taken at the photographers there. The two eldest daughters went to school in Beaconsfield, while Elinor taught the two youngest at home. Frost was well aware of the other literary connections in the area and talked about visiting Milton’s Cottage. He knew about Gray’s Elergy and Stoke Poges, Edmund Burke, Waller and G.K .Chesterton. He also frequently travelled up to London, used the Reading Room at the British Museum and met many other poets including his fellow American Ezra Pound, as well as Yeats, Rupert Brooke, Eleanor Farjeon and Edward Thomas. Though the family moved to Gloucestershire in 1914, and subsequently back to the United States at the start of World War 1, Frost did visit Beaconsfield in 1928 and 1957 such was his affection for the town. By 1957 he was receiving honorary degrees from Oxford and Cambridge and Durham. He was the chosen poet of J.F. Kennedy and spoke at his inauguration. He died in 1963 having become the most famous and honoured poet of his generation.